Roasted chickpeas make a healthy snack. Chickpeas, a type of legume, are a staple of many Middle-Eastern and Indian dishes, but they also make a good snack when roasted and served instead of chips and other high-calorie, low-nutrition snack foods. Also known as garbanzo beans, chickpeas, like other legumes, supply dietary fiber, as well as essential vitamins and minerals, to your diet. To make this recipe, you need a can of chickpeas, a little cooking oil and some seasoning, if you want to spice up your snack. You can cook fresh chickpeas for an even better taste. Open the can of chickpeas and pour them into a colander placed in the sink. One can yields about 2 cups of chickpeas, so if you make a fresh batch, cook enough to make this amount. Thoroughly rinse the canned beans with cold water, which removes the liquid that the beans were packed in. 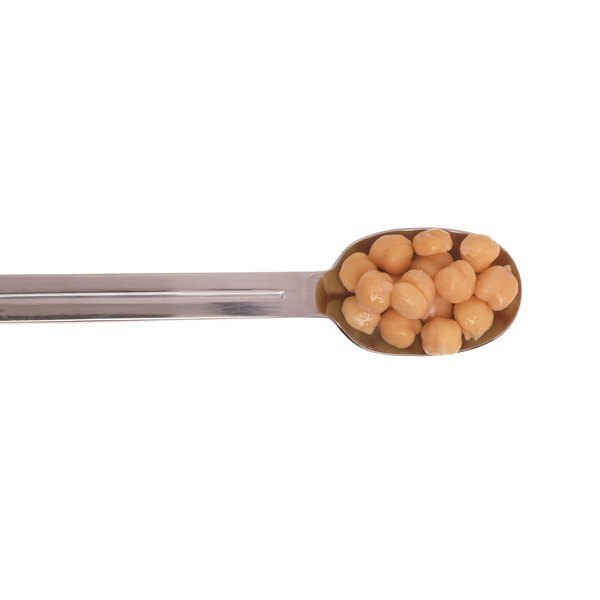 Canned chickpeas often have a salty, metallic taste, according to registered dietitian Peggy Crum of Michigan State University. While you're washing the chickpeas, preheat your oven to 350 degrees Fahrenheit. Let all the liquid run off the chickpeas in the colander, then spread them out on a cookie sheet over a paper towel. Dry the chickpeas by rubbing them gently between the paper towel beneath them and another paper towel over the top. Some chickpeas have a thin layer of skin, which you can rub off or leave on, but be sure to throw away the skin if it rubs off. Remove the paper towels and discard them. Measure 2 tablespoons of olive oil -- or another vegetable oil -- and drizzle it over the chickpeas. Stir lightly to coat each chickpea with the oil. At this point, you can also season the chickpeas with salt or any other combination of spices you'd like. Try a creole seasoning or just add salt and pepper. You can season before or after baking. Place the cookie sheet in the oven and bake at 350 degrees Fahrenheit for 30 to 40 minutes. The chickpeas turn golden brown and crunchy when they're done. 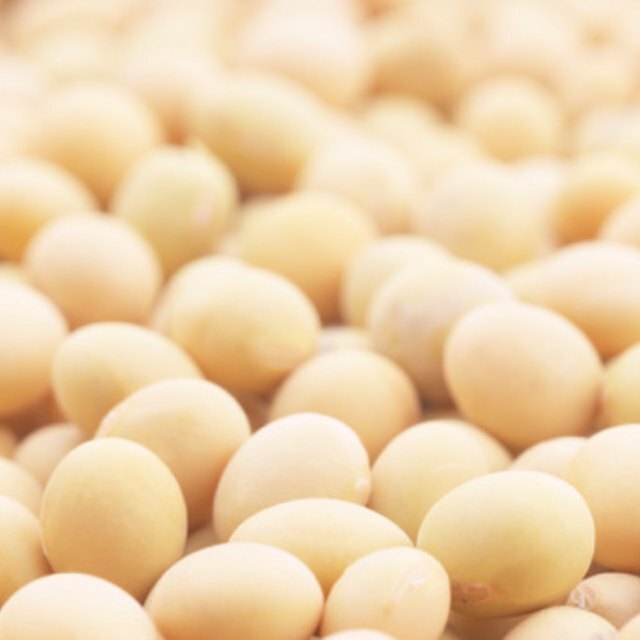 Eat them as a snack by the handful or use them as a topping for soups and salads -- but remember, chickpeas are beans and they produce the usual bodily effects that beans are known for.